Create QuickBooks Online Invoices & Purchase Orders from within ConstructionOnline. Import Actuals, Committed Costs, & Invoiced Amounts recorded in QuickBooks Online into ConstructionOnline Financials. ConstructionOnline’s new invoicing options address the progress invoicing needs of construction professionals with an enhanced grid view that simplifies the invoicing process from job to job. 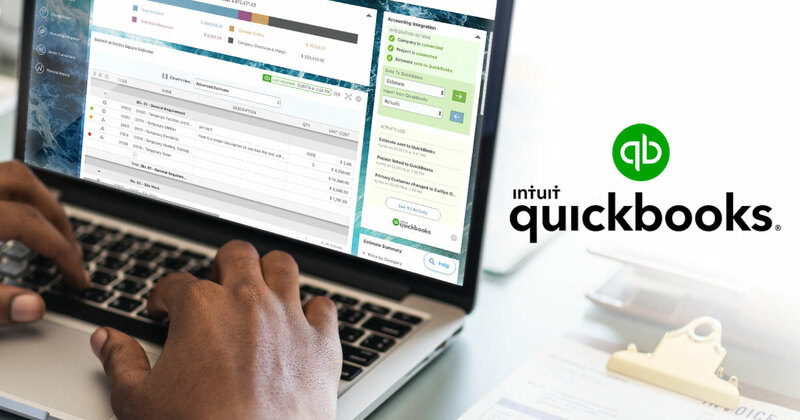 The easy-to-read table allows for manageable data entry to streamline invoice creation & tracking, and can be found in the Accounting Integration section of ConstructionOnline 2019’s Financials. The detail and ease of this integration overall dramatically decreases time & effort applied to construction financial management and vastly increases the accuracy & visibility required for effective job costing. UDA Technologies continues to innovate new ways to support the success of growing construction companies around the world, with more than 550,000 industry professionals relying on UDA’s software solutions for the management of over $70 billion in construction jobs every day. To learn more about ConstructionOnline, contact a Product Consultant at 1-800-700-8321.